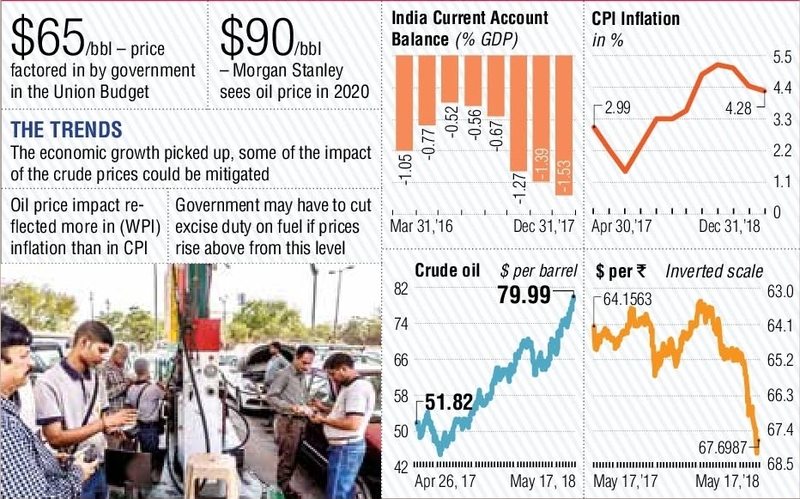 Investors are bracing for testing times ahead as a heady concoction of surging oil prices and a weak rupee is feared to wreak havoc on the economy. The stock market fell on Thursday in a late sell-off after Brent crude crossed $80 a barrel for the first time since November 2014, intensifying worries about the impact of higher oil prices on the twin deficits—current account and fiscal. The rupee, however, strengthened on suspected intervention by the Reserve Bank of India. BSE’s Sensex fell 238.76 points or 0.67% to close at 35,149.12. NSE’s Nifty dropped 58.40 points or 0.54% to close at 10,682.70. The rupee gained 10 paisa or 0.15% against the dollar to close at 67.70 on Thursday. Some stateowned banks were seen selling the dollars on behalf of the central bank, dealers said. Oil prices have been driven up in recent weeks by the possibility of a drop in Iranian exports due to renewed sanctions by the US. 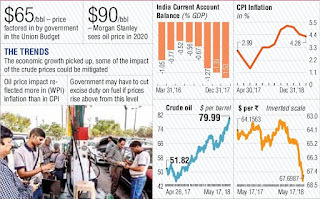 India, which meets 80% of its oil requirement through imports, is affected by rising crude prices. Investors are uncertain whether the government will bear the burden of higher oil prices, which could damage the country’s finances. A sharp fall in the rupee in the near term is unlikely, said analysts.